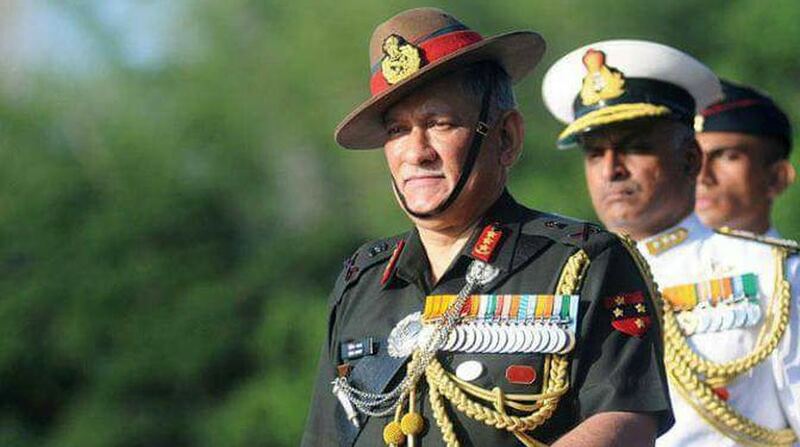 General Bipin Rawat, the present Chief of Army Staff (COAS), brought up the ‘cold start doctrine’ in his first press conference drawing adverse reactions from Pakistan. The reactions varied from the military being fully prepared to defend Pakistan against any misadventures, to employment of all resources, including nuclear, to thwart Indian plans. The doctrine was initially enunciated post mobilization following the attack on Parliament, wherein India took three weeks to be ready for operations, giving the Pakistani army sufficient time to deploy its defensive forces, hence losing any element of surprise. That mobilization remained an exercise in futility. The recent revival of the doctrine has been due to prevailing Indo-Pak tensions. Primarily, Pakistan has continued with its policy of supporting anti-India terror groups. Mumbai, the Parliament attack and more recently, Pathankot, Uri and Nagrota indicate that a time would arrive when the Indian threshold of patience would be crossed and there would be demands for action. The surgical strike, post Uri, did convey a message; however it may not always be the solution. In such a scenario, India would be compelled to act with greater force. Because Pakistan is nuclear-armed and is supported diplomatically and militarily by China, deep forays into territory could trigger panic, leading to a nuclear war which would be devastating for both nations. This is because Pakistan lacks depth to absorb an Indian offensive and is inferior in conventional forces. Hence operations need to be planned and kept below the nuclear threshold. Simultaneously, Indian troops need to mobilize and move into Pakistan before it has time to deploy its major defensive formations. In peace time, the borders are manned by the Border Security Force on the Indian side and by the Rangers on the Pakistani side. There are no minefields as farmers till their lands almost up to the international border. The army only moves in and occupies defences once war is imminent. Minefields and other war preparations are conducted thereafter. Thus, speed in launching the offensive is essential. Hence emerges the cold-start doctrine, implying launching operations with speed and secrecy, making forays into Pakistan and keeping the depth of incursions below nuclear threshold levels, and before Pakistan deploys its defensive formations. These operations, led by mechanized forces, are ideally suited for the plains and desert sectors. For such an operation to be successful, there are certain prerequisites. Firstly, most columns being armour-heavy would need to be quartered in cantonments close to the border, thus reducing mobilization time. Secondly, joint operations are an essential ingredient. Operations based on cold start, involving surprise and speed, require close coordination between the army and the air force. They should be employed in tandem, rather than at cross purposes. Hence, a unified command, wherein the resources of the sector of both the army and air force are under one commander, is essential. This would ensure synergy and optimization of resources. Finally, for such a capability to be effective, the maintainability of equipment and availability of ammunition to desired levels is essential. Shortfalls in either would hamper success. As per press reports, India has planned to deploy its latest and most lethal tanks, presently under procurement from Russia, in cantonments close to the border. Pakistan on the other hand faces problems. Many of its reserve formations are deployed on its western borders, battling militancy. For these formations to disengage and re-locate would take time, which would be crucial. Their defensive formations are deployed closer to their border than India, hence can move faster. However, the element of surprise is always with the attacker, who determines his area of thrust and timing, compelling the defender to react. Since Pakistan lacks depth, even shallow forays would indicate a failure for its military. Therefore, it continues to threaten India with a nuclear strike. Nuclear options, despite ranting and raving or even declaring a first-use policy, are serious decisions for any nation as retaliation in greater measure could be expected. While Pakistan has deployed tactical nuclear weapons at lower levels, it would seriously need to consider its employment. Decisions for its employment would flow after considerable territory has been lost. Since Indian forces would have crossed the border, and spread over a large area, tactical nuclear weapons would most likely impact their own personnel rather than stem an offensive. 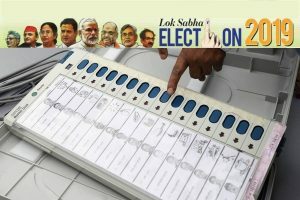 To target Indian cities would not be an easy decision. India’s intentions in case of such operations would be to convey a strong message to Pakistan, China and the international community, about Pakistan’s actions having crossed the threshold of tolerance. For conveying such a message, India need not foray very deep within Pakistan, thereby justifying use of nuclear weapons nor seek to destroy its domestic fabric. Shallow incursions would be sufficient. This would leave them in a quandary. In any case, world pressure to stall the offensive would flow almost simultaneously. For launching and ensuring success, perfect planning, coordination and seamless execution is essential. The structures necessary to ensure this as also the wherewithal need to be in place. Sufficient rehearsals must be conducted and plans finely tuned. The fear of nuclear fallout should be the last consideration, as the intention would not be to hold territory for an eternity nor for bargaining, as in previous wars, but to convey that India will not tolerate attacks on its soil supported by Pakistan. Initial tactical nuclear strikes, if launched by Pakistan in fear of failure, would be on their soil itself. If operations are correctly planned and executed, the military would have achieved its objective, before world pressure builds on India to stop and pull back. Pakistan’s rhetoric of nuclear strikes would then remain mere ranting and raving. So, what’s wrong with beating our chests?